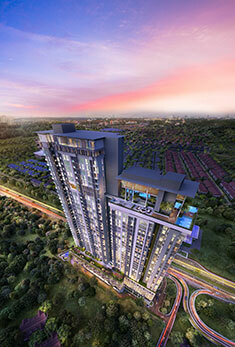 Waltz Residences is a freehold iconic residential tower located in Taman OUG, Kuala Lumpur. Rising at 38 and 33 floors, with choices of single or dual key homes, Waltz Residences is the epitome of luxurious life amidst this established golden neighbourhood. 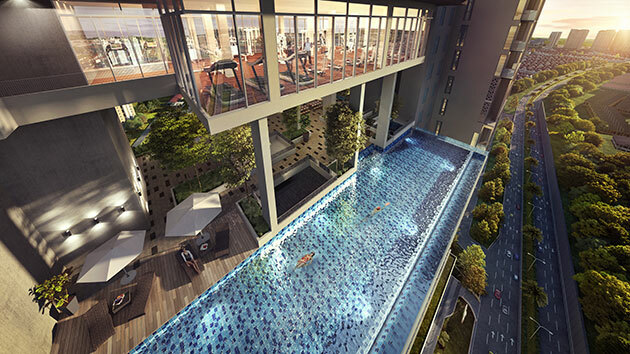 Nestled within a new 63-acre super-hub, Waltz Residences is designed to balance city life with urban chic conveniences, ease of connectivity and entertainment. Connected via a link bridge, residences can easily access to a carefully planned wide array of commerce, amenities, lifestyle and shopping conveniences. 419 units of dual key and typical condominiums units ranging from 948 sq. ft. to 1,691 sq. ft.